Who is Victor The Assassin? 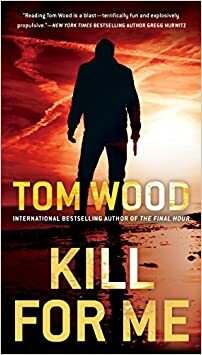 Tom Wood is the British author of the Victor the Assassin thriller series, with his debut novel, The Killer (in the UK titled The Hunter) published in 2010. 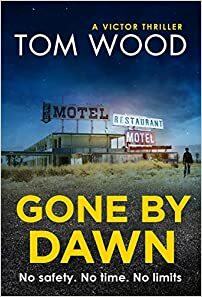 I first came across Tom Wood when I was looking for something similar to Jack Reacher, Scot Harvath, and John Rain series. While I got hooked on the Victor series, I soon realized that Victor is nothing like Jack, John, Scot, or any other protagonist in high-octane thriller books. Victor is unique both in actions and in character. He is the perfect antihero, with no feelings of sorrow for the targets he kills. Currently, the series has 8 books with a latest one published in 2018. Here are the Tom Wood books in order for his fearless but highly entertaining series. Tom Wood was born in 1978 in Burton upon Trent in Staffordshire, England. He always liked creative writing while in school, however, he only realized he wanted to become a writer in his twenties. He wrote short stories even during primary school, but those were for his own home drawer. After school, Tom had several freelancing jobs, but he left them all behind when he finally published his debut novel. One of the jobs the had that helped him in his writing endeavours was that of video editor. This helped him learn more about the process of narrating a story and how to pace it. One of the reasons Tom Wood created Victor the Assassin was because he was fonder of villains than of heroes. And Victor is, in a way, a villain. He is the true antihero, the very opposite of Jack Reacher, or John Milton, or any of the other ex-undercover operatives or hitmen. The Tom Woods books are all fast paced, written in a cinematic style, with no extra fluff in the writing. The books would easily translate into action/adventure movies. Currently, writing is Tom Wood’s full-time career, one which he tremendously enjoys doing. While initially it didn’t fully pay his bills, now after several books published and sold all over the world, as well as translated in languages such as German and Polish, these books definitely pay the author’s bills and make him a well-established writer. When he wrote the first Victor book, Tom Woods didn’t imagine it become the first of a new series. However, soon after finishing it, while the book was being published, Tom realized that he wanted to continue writing about Victor, so a series was the logical conclusion to his thoughts. Tom Woods is currently living in London where he is working on his next Victor the Assassin novel. Victor is the perfect assassin. He has no crisis of conscience after killing a target. He sheds no tears for his victims nor he feels remorse when one of his targets happens to be a beautiful young woman. Actually, he’s known to have killed such women even after sleeping with them. Victor is never conflicted. Occasionally, he does show signs of humanity (especially in Kill For Me), but more often than not, those feelings are suppressed. While Victor is not modeled after anyone Tom Woods knows, he is created from a mesh of all the movies he’s watched over the years, books he’s read over the years, with bad guys in them. Another antihero I could compare Victor to would be Mark Greaney’s The Gray Man (aka Court Gentry). However, if you read both series in order, you’ll notice Court becoming somewhat softer, more mellow, more human. Victor, on the other hand, is the same hardened assassin we’ve got to know him from the very first book. Although very different in scope, I do get occasionally glimpses of Dexter when reading Victor. Both are bad, and they’re so good at being bad. Neither has a conscience, and both only know how to act in various occasions, but neither actually feel it. Sure, with Victor you do get a few glimpses of something else, something softer, but those are always offset by him being even more ruthless than before. Victor never dwells on the past, and the readers don’t know much more about him than Victor’s own enemies or customers. Most of the knowledge about Victor can be inferred from dialogue or things that Victor does or his own internal monologue. Also, Victor remembers on rare occasions bits and pieces from his past, but soon he closes those doors shut once again. For all these reasons, reading the Tom Wood books in order is almost a must. Those tiny bits and pieces about Victor will be revealed, and this complexity of character will be much easier to unfold layer by layer. Otherwise, all you’re getting is Victor killing this and that, which really doesn’t do this character justice. reading it, as the tension and excitement just holds my attention massively..